Now is the perfect time to get your Toyota ready for upcoming road trips and the sweltering summer months ahead. Every year AAA Roadside Service requests increase during the summer months. AAA anticipates around 10,000 drivers will be stranded with vehicle breakdowns this summer many of which could be avoided with proper car maintenance. Our team of expert Toyota service technicians are available to give your vehicle a complete inspection, identify potential problem areas and get your Toyota running its very best. 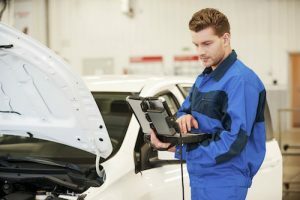 Here is a list of basic maintenance procedures that will get your car, truck or SUV in tip top shape for the Spring/Summer driving season. Our Toyota service in Rochester, New Hampshire, offers all of the maintenance services needed for a proper pre-summer check-up. We have frequent auto service and maintenance specials for oil changes, brake inspections and more. See our current Toyota Service Specials for current deals or parts and service coupons, then schedule Toyota service quickly and easily online.